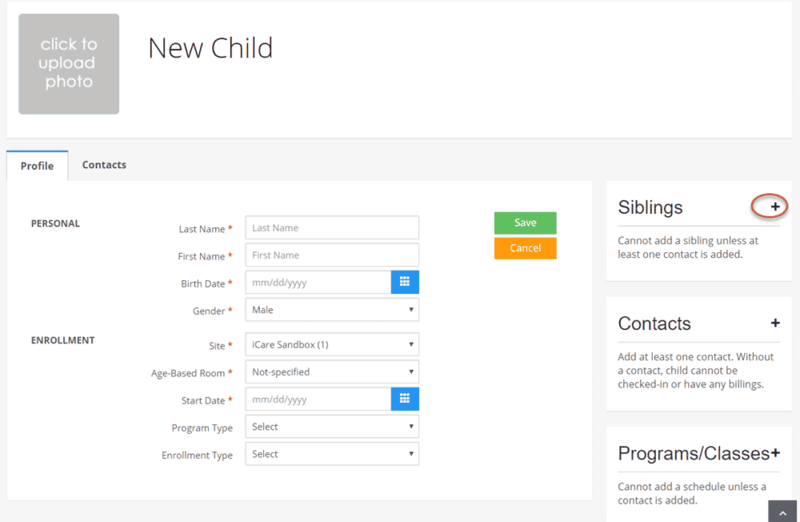 Click Add Room to create rooms with capacity, max children and age range. Update room capacity or any other information at any time by first hovering on a row then click on the edit (pencil) icon, and click the check-mark to save. 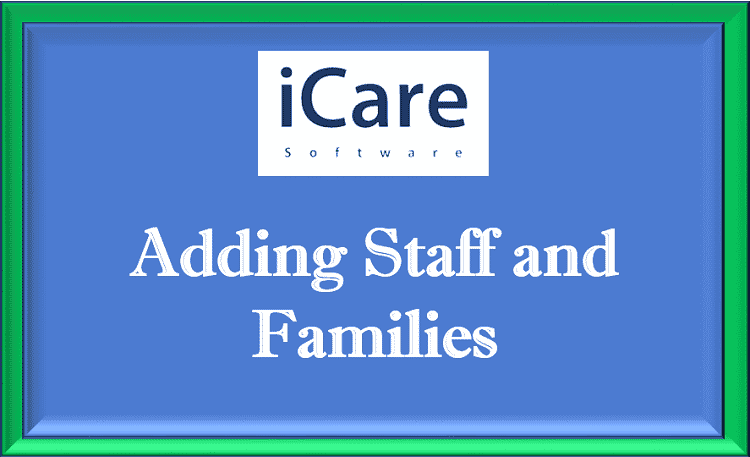 Adding your family data using iCare’s provided import tables from your app is the fastest way to add all of your students, their personal information, and any additional student contacts you would like to add. This does not automatically generate invites to contacts for registration. Invites can be done from your web app after your upload is complete. Contact us, if you are exporting from a third party system, we have built in tools available to expedite the process. 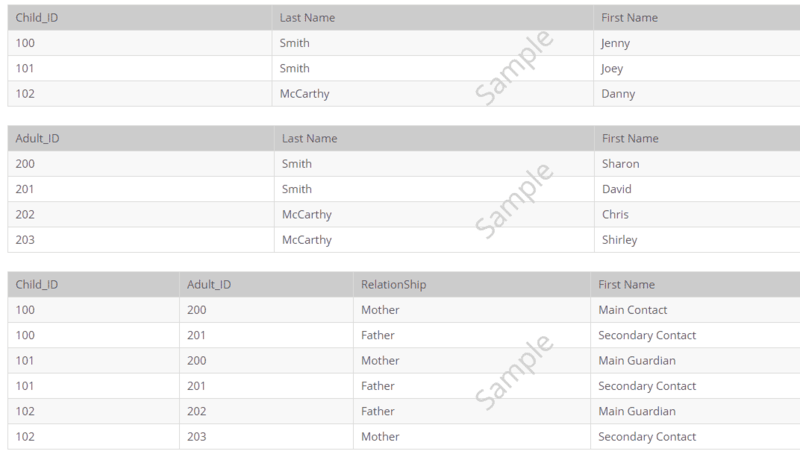 At any time you can add additional children and family data by clicking +Add Child from the Children’s grid. Enter child’s profile and contact details and save. 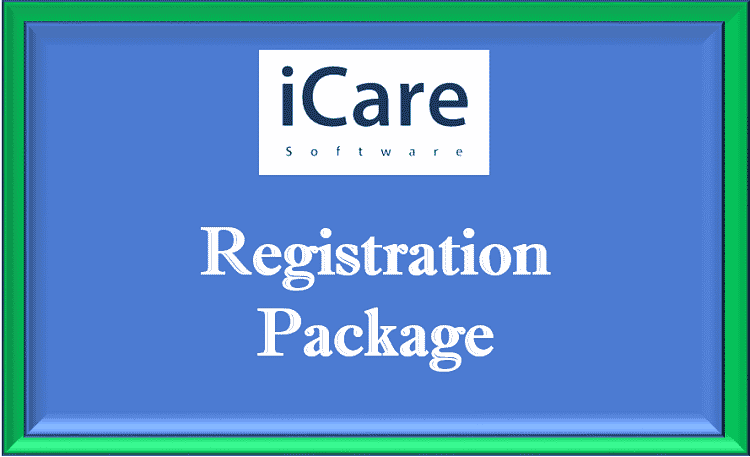 If you would like to invite parents to register at the time you enter the child’s profile information, turn on the parent registration email under Child Related Notifications found under Advanced Settings. 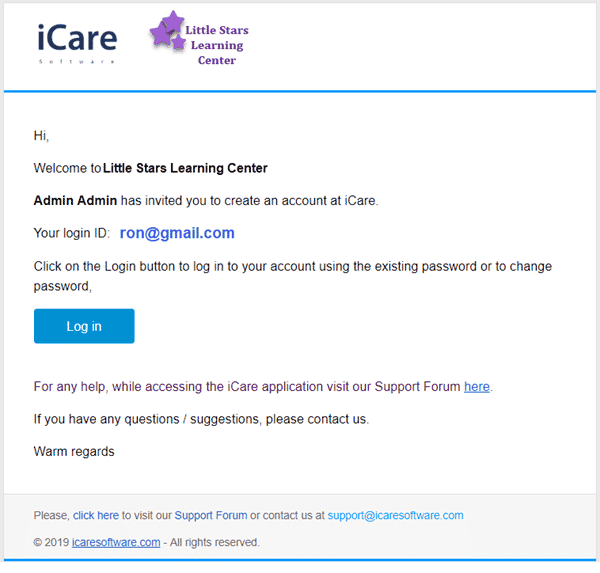 The system will automatically send an email with log in information.